When Joseph, who was betrothed (similar to an engagement) to Mary, learned that Mary was pregnant, he was bewildered and hurt, believing she had been unfaithful to him. 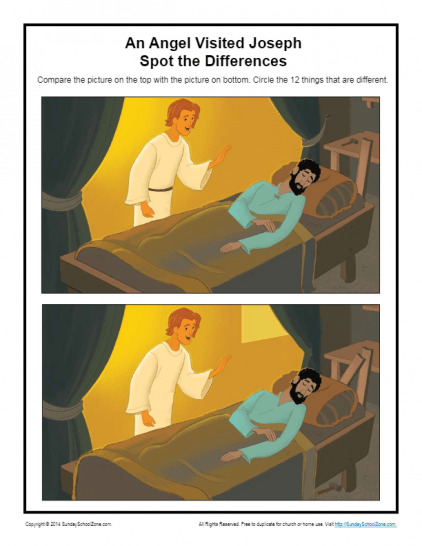 But, Joseph didn't want to hurt her. So, he determined to divorce her quietly so as not to cause her public shame and embarrassment. But then an angel appeared to Joseph and explained that Mary's baby was special because the Child would be conceived of the Holy Spirit. 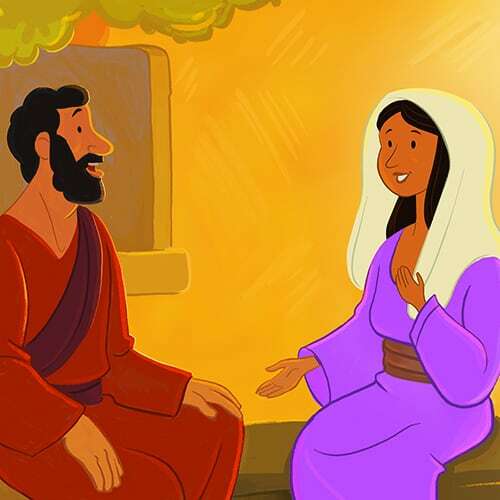 These Joseph Told About Jesus Bible activities are about Joseph's learning the truth about Mary's baby and how he, in turn, told Mary about Jesus. 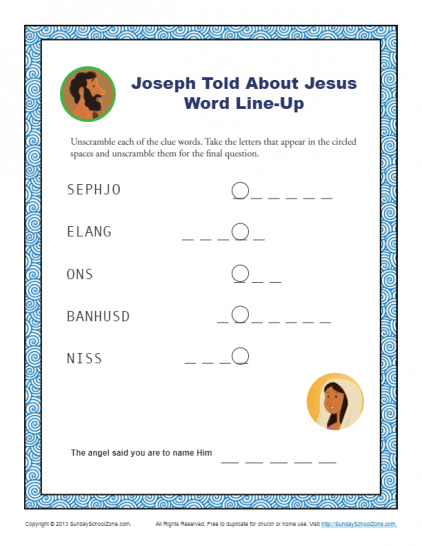 This printable about the angel’s visit to Joseph will remind kids that when God wants us to know something special, He’ll reveal it in an unmistakable way. 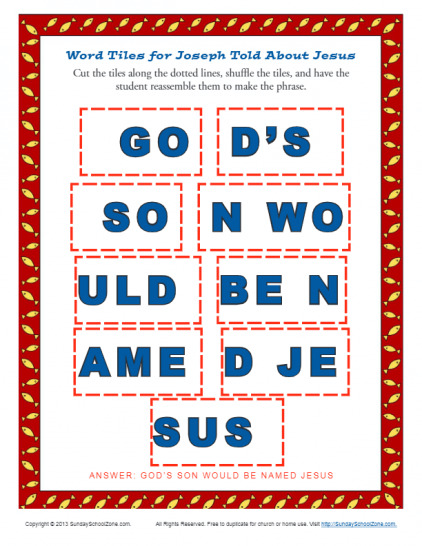 It can be used in a homeschool setting, one-on-one, or in a classroom setting like Sunday School. This coloring page will help kids see that when God calls us to do something, He makes His calling clear to us. This is part of how He prepares us to do what He desires. 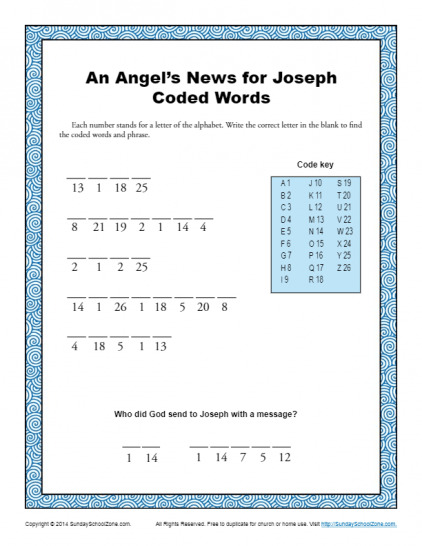 It can be used in a homeschool setting, one-on-one, or in a classroom setting like Sunday School. 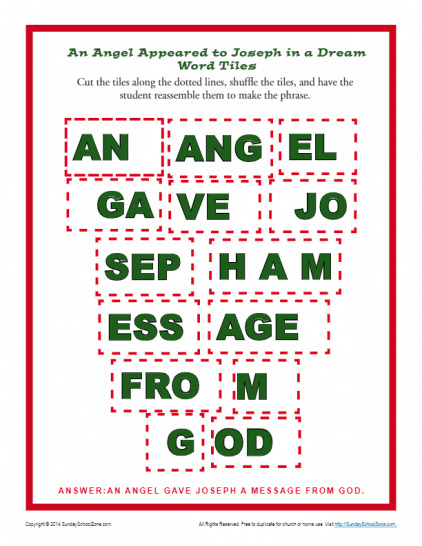 Let your children have fun putting these word tiles together. 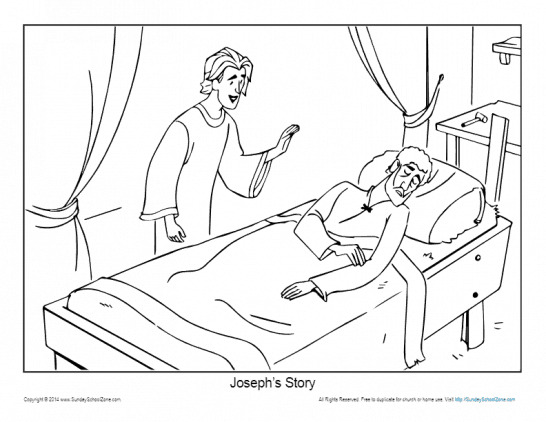 They’ll be reminded about the important message the angel gave Joseph in a dream. Having had the dream, Joseph now knew to marry Mary. He also knew to name Mary’s baby Jesus. Break out the crayons, markers, or watercolors! 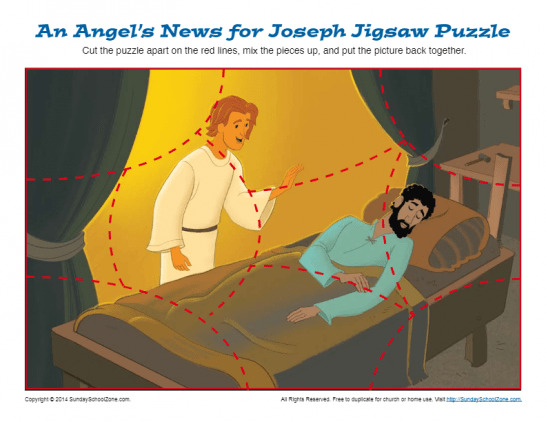 This activity is a color by number picture portraying the angel who came to Joseph in a dream to tell him to marry Mary and to name the baby Jesus. 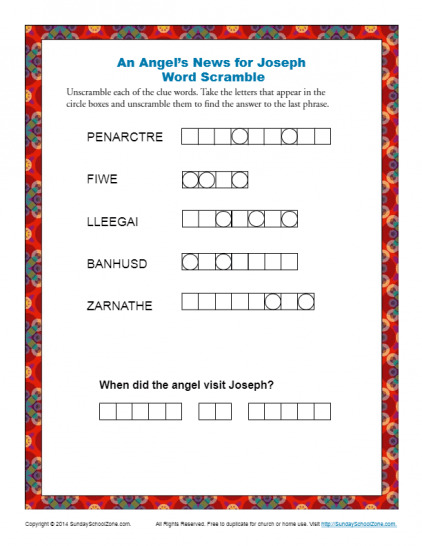 Sharpen your pencils and give your children a chance to unscramble these five words relating to Joseph’s dream and God’s instructions through an angel that Joseph marry Mary and name her child Jesus.